Download Our User App Today! "Yes, yes yes!!!!! Finally, someone has done this!" This is such an amazing idea!! Where do I sign? The tutorial you supplied (on how to upload data) was excellent and the menu area is great!" We are super excited to see Snack Tracker up and running! Best idea for an app! My family have often commented on how there needs to be something like this. We'll use it all the time! Well done Snack Tracker and team! As an industry leader in FOH event catering and a Food Truck consultant to major events, festivals, sporting and community events across Western Australia, I see this new app as a fantastic platform to showcase and locate your favourite Street Food and Food Trucks. With over 28 years in the industry, I've learned that change and innovation are the keys to success. Snack Tracker is just this, a click of a button, and you can locate your nearest Food Truck or Pop Up Food Truck event. I highly recommend this WA owned and operated business that supports small businesses and community family events. 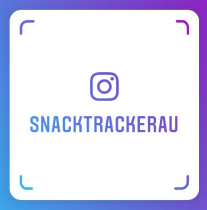 Snack Tracker is the only app in Australia where you can Track Your Snacks Live! Track down the food trucks, ice cream & coffee vans, and many more, all in one simple space! With Snack Tracker, you now have access to menus, customer reviews, booking & contact details, eftpos availability and an events calendar. For the first time in Australia, you can now purchase a Gift Certificate for your family and friends, to be used at any participating vendor! Ability to save your favourite vendors and receive an automatic notification to your device when they're nearby! Download the free Snack Tracker app now to track down your favourite snacks!